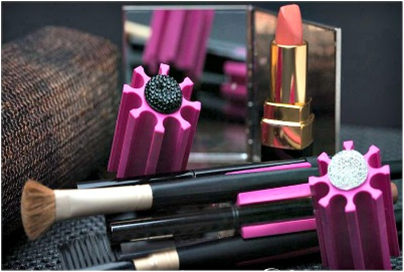 If your purse is like mine, you are going to love this product. I drop cosmetics into my purse and they immediately drift away into the same never never land that socks trying to escape the dryer run away to - never to be seen again. 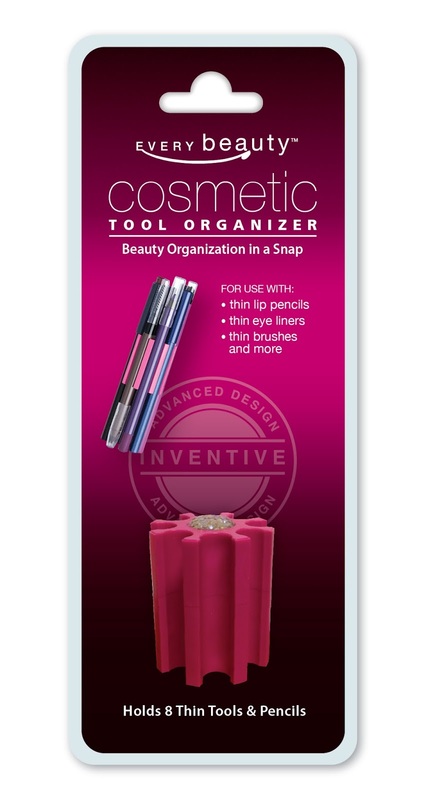 The Every Beauty Cosmetic Tool Organizer is an item that is going to keep those lip liners, eye liners and brushes close at hand. Simply snap up to eight items into the slots and the organizer will keep them from sinking into the Bermuda Triangle of your purse. I snapped eight thin cosmetic tools into my organizer and dropped it into my purse. After lunch I was walking to the office restroom to freshen my makeup and digging into my purse to save a few precious seconds. It worked! With a quick swipe of my hand I found and retrieved it from my overloaded bag. Getting the eighth item to snap in place was tough the first time. But now that I have used it for a few days, it snaps in place with no trouble and stays snugly in position. 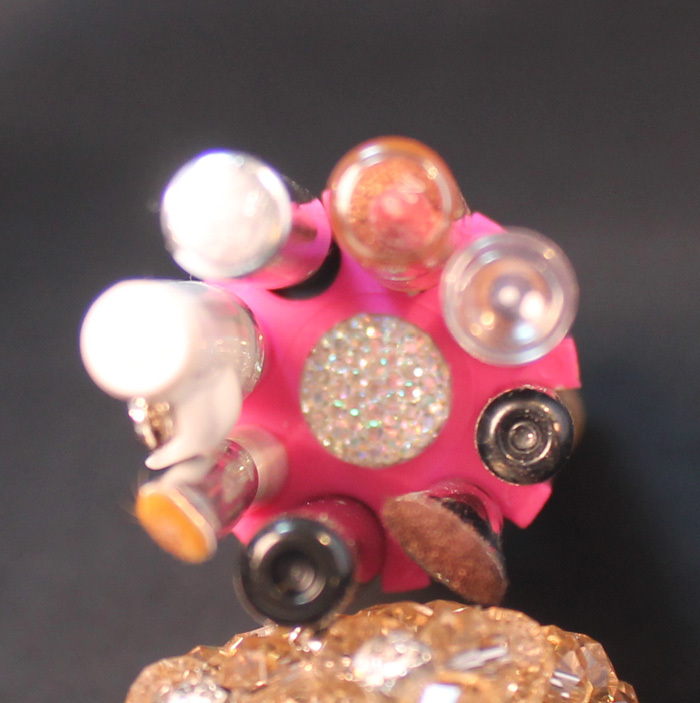 The crystals on the ends make it look glitzy. I got all my favorites stored and even a couple extra! This nifty tool can be purchased at Every Beauty Brand's online store for $7.99. But you can also enter to win one on the RaffleCopter widget below. It's open to international entries and will end at midnight on May 30th. Good luck!